Robert Pattinson likes to change his hairstyle – and often! One day the Twilight Saga heartthrob’s hair is tousled and messy, then it’s sleek and neat. It’s poofed-up into a high semi-spiky pompadour, and then it’s slicked back and trimmed into a clean-cut yuppie cut. Presumably most, if not all, of Rob’s fans have their own ideas of which haircut looks sexiest on their idol. Of course, the opinion that would, or should, matter most to the Water for Elephants star is his girlfriend, Kristen Stewart’s. 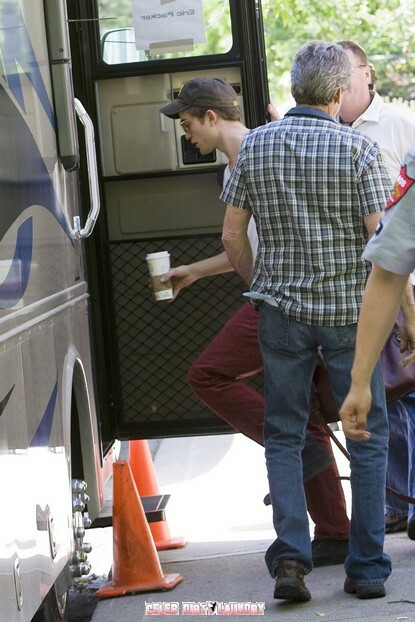 But on the other hand – its not Kirsten who is paying the bills – its Rob’s fans. In a Bravo Magazine interview, Robert Pattinson revealed that Kristen Stewart liked his hair best when it was “tousled” as opposed to “trimmed” as it was in Water for Elephants. 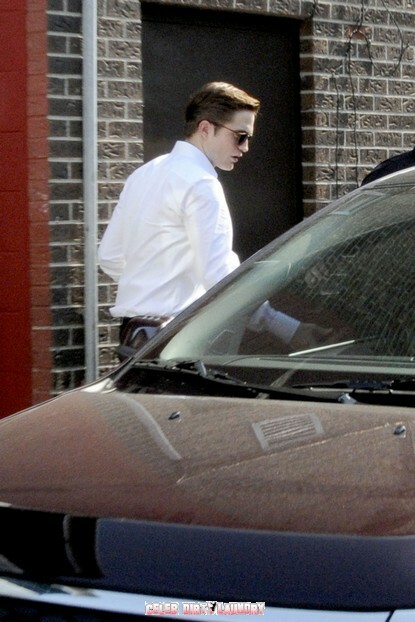 And heaven forbid that Rob should wear his hair ultra gelled and “dapper” as he does in his upcoming film Cosmopolis. Apparently, Kristen “doesn’t care for this new look” at all. Personally, I could not care less. Rob can shave his head for all the difference it makes to me. But then I don’t fantasize about dating him, do I? 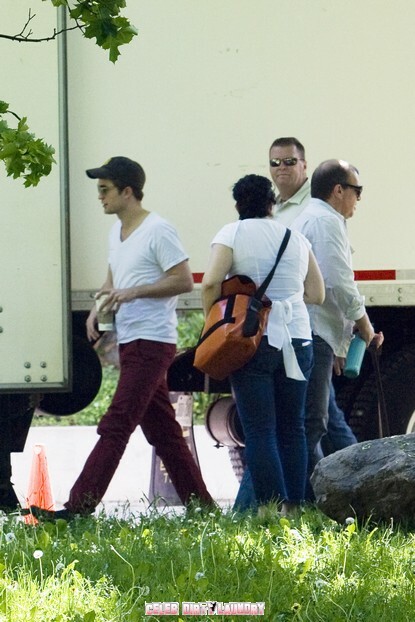 Click on the thumbnails below to enlarge 11more pics of Robert Pattinson on the set of Cosmopolis!